Home » How To » How to secure your laptop? Aside from your car, your laptop is probably the most valuable portable item you own. You’re not doing enough to protect it from thieve. There’s nothing quite like the kick in the gut of having something stolen from you. The sense of violation, the feeling of vulnerability–it’s hard to describe if it’s never happened to you. Now imagine how it would feel to have your laptop stolen. That creepy-crawly sense of violation just got a lot worse, didn’t it? To have not only a valuable piece of equipment taken from you, but one that by its very nature contains so much information is downright terrifying. Laptops are especially vulnerable. Being portable, pricey and easily wiped and resold makes them especially tempting for thieves. According to the FBI, a laptop is stolen every 53 seconds. And around 97 percent of them are never recovered. Fortunately there are some common sense ways you can protect your property, your information, and yourself from laptop thieves. Using technology, hardware and good old-fashioned common sense you can go a long way toward preventing the theft of your laptop. Here are a few ideas. Here’s one of those brick and mortar-type solutions to the problem of going out into the world with your most valuable portable piece of property. The Kensington lock is the granddaddy of laptop locks, and Targus makes a quality lock as well. Granted, laptop lock cables are inelegant, and you might feel as if the cute barrista is thinking you are a paranoiac when you lock up your machine. And unless they are connected to an immobile object, laptop locks aren’t 100 percent effective. If you wrap a cable lock around, say the base of a coffee shop table and lock it to your laptop, obviously all a thief has to do to make off with it is lift up the table, unloop the cable from the table leg or base, and take off. But I think we can all agree that this is an unlikely scenario in a crowded coffee shop in the moments you go to the bathroom or to top off your coffee. A much more common occurrence is a thief trying to be slick and swipe a laptop from a momentarily unoccupied table without breaking stride and heading out the door. Imagine his surprise when the table attached to your laptop scoots across the floor with him as he tries to abscond. He’s not likely to stick around at that point. It’s not a 100 percent guarantee against theft, but a cable lock will make most thieves think twice or not at all about targeting your laptop. Okay, so the worst has occurred. You turned your back for just one damn second and boom, your laptop is gone. Along with it your photos, your credit card information, your electronic bank statements and that novel you’ve been working on for seven or eight years. Your entire life essentially is contained in that flat square foot of metal and plastic, and some alleged human currently has their grubby hands all over it. What do? Luckily you’re one of the smart ones who anticipated this potentiality and installed tracking software on your machine. Flipcode’s Hidden, and Absolute Software’s LoJack for Laptops are both excellent choices that use a combination of IP address and Wi-Fi positioning to locate your computer. Hidden can even turn on the laptop’s camera remotely and take pictures of your nemesis as he or she attempts to trawl through your data looking for anything of value. It can also capture screen shots of web pages the person attempts to access, thus giving you and law enforcement valuable information on the thief’s Facebook page, email inbox, etc. There’s nothing like sending a thief’s mom a friend request–along with a note asking her to maybe have a word with her kid about stealing. If you go with LoJack, your new pal the thief is going to be subjected to a bright yellow and red banner appearing every thirty seconds announcing that he or she is using a stolen laptop. So if you’re the type of person who believes in the essential goodness of people, you can post contact info there, or maybe offer a reward for the safe return of your laptop. Ah, but because you’re one of the smart ones (remember?) that thief isn’t even going to be able use your laptop, because you used a strong password to protect your Windows account. Right? One that you have to re-enter every time the computer hibernates or goes to screensaver. You did do that, right? And for god’s sake, change your password to something that is uncrackable by conventional means. Sure there are programs that can “brute force” crack simple passwords, but your average thief isn’t going to have access to something like this. So a strong password means no birthdays, no girlfriend’s or boyfriend’s names, no pet names, and for the love of god, no “12345.” If that is your password, you deserve everything that happens as a result of your computer being stolen. 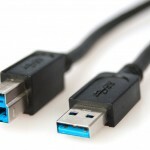 There are ways to circumvent your password, but they require that the thief be able to boot your computer from a CD or a USB thumb drive. You can prevent this possibility by disabling boot from CD and USB in your computer’s BIOS settings. As it boots up, hit F1 (usually, sometimes its F4 or F10) or Del and it should take you to the computer’s BIOS settings. This is the computer’s basic, built-in software that controls the machine underneath the more elaborate operating system, like Windows for instance. You can and should also password protect your BIOS settings, so that a potential thief can’t simply reverse this operation. If this sounds terrifying depending on your level of computer knowledge, there are tutuorials on youtube. Encryption is a word that is floating around a lot these days in terms of cell phones, and with good reason. The FBI is asking Apple to write code that would open a “back door” for law enforcement to get at the information stored on iPhones that were owned by people accused of various crimes. The highest-profile case involves the phone of one of the San Bernardino shooters, access to which the FBI claims to need in order to pursue other terrorist connections the shooters might have had. But wherever you stand on the issue of privacy versus law enforcement access, if nothing else, the story paints in stark colors just how important strong encryption is. We’re talking about the FBI, the premiere domestic law enforcement agency in the world, with the best and brightest minds and more funding than God, and they are saying they can’t get past the iPhone’s encryption. Wouldn’t it be great to have that kind of protection for your laptop in the case of theft? Your strong password on your Windows account is a great first step to protect your information, but for the determined thief there is always a workaround. 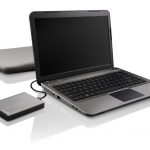 For instance, if someone physically removes your hard drive from your laptop, they could still gain access to its information by connecting it to another machine. However, using a utility like BitLocker, found on Windows Vista, Windows 7 and Windows 8, you can set up a pin or a password needed to unlock a hard drive. Use a virtual private network – An enterprising thief can access data passed over public networks like those in coffee shops and airports. By using a VPN–which encrypts your data and routes it through a remote server along with thousands of other users’ data–anyone trying to look at your information is unable to do so. Companies like Private Internet Access and StrongVPN offer inexpensive plans. Five bucks a month is worth it to keep your info safe. Use secure email – Make sure the email you use is configured to use secure sockets layer (SSL) or transport layer security (TSL). Many webmail services like Gmail do this by default, but it is a good idea to check if you use a different email program. Encrypt your USB drives – Those handy little drives we carry everywhere often contain just as much valuable information as our laptops. And they’re easier to lose. Use an encryption program like Bitlocker To Go or DiskCryptor. With the latter you will be prompted to create a password using one, two or three encryption algorithms, AES, Twofish, or Serpent, or all three in combination. The drive in question looks to a thief like an empty drive that needs to be formatted, and the information on it cannot be accessed without opening and running the DiskCryptor program and successfully entering the password. You can’t ever be without risk of being ripped off. All you can do is try to make it more difficult for a thief, and have systems in place to make his life hell if he does manage to get away with your laptop.